IMAGO’s member societies are working to nominate and submit films to the IMAGO Awards that will take place in Helsinki on October 28th 2017 – a grand, black tie event with more than 250 cinematographers, related film colleagues, partners and media present. The IMAGO Awards in 2017 is presented by ARRI, with support from many other partners including RED, Sony, Panasonic and more, and it will be the first International Awards where cinematographers honour colleague cinematographers on such a high level. 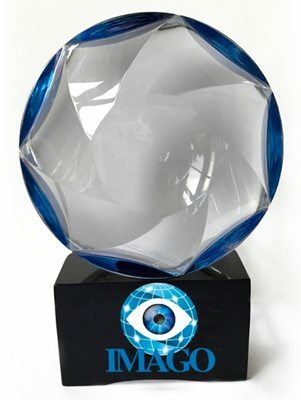 The Award itself is designed by award-winning Swedish glass artist Asa Jungnelius, and we believe it will be a grand and valued trophy and recognition. Nominations from societies have a deadline on 15th of July, and the IMAGO juries will start their work to decide the finalists in August. In addition, ARRI will, together with IMAGO, present the ARRI Award to a young, aspiring cinematographer. IMAGO’s Masterclass Committee arranged a very successful session of masterclasses in Amsterdam in May. More than 130 cinematographers attended and many came from far away: Australia, Japan, Brazil, Egypt, USA and Turkey, as well as most European countries. Cinematographers hosting the masterclasses were the award-winning cinematographers Phedon Papamichael ASC GSC, Jeanne Lapoirie AFC, Luciano Tovoli AIC ASC, Anthony Dod Mantle DFF BSC ASC, Martin Gschlacht AAC and Elen Lotman ESC. Perfect moderation was executed by Andreas Fischer-Hansen DFF, Peter Verstraaten, Richard Andry AFC, and Volker Gläser BVK. IMAGO’s warm thanks goes specially to the Netherlands Film Fund, the Netherlands (NSC) and Belgian (SBC) societies of cinematographers and their respective presidents Richard van Oosterhout NSC and Willy Stassen SBC, for their great help and invaluable support. And, of course, not least to Astrid Heubrandtner AAC, Jan Weincke DFF and Herman Verschuur NSC for their perfect organising. 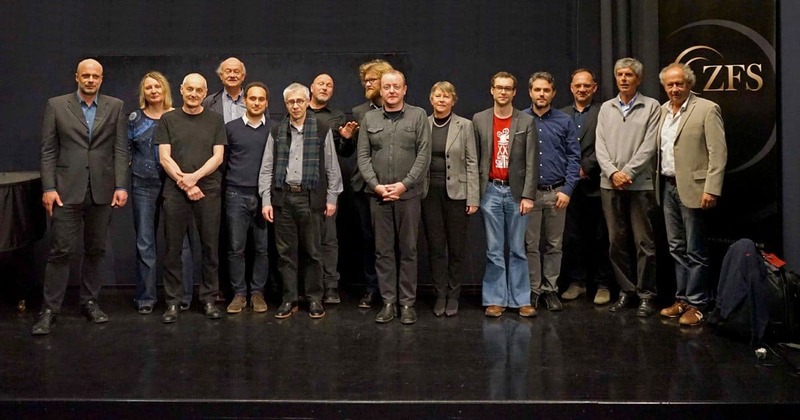 The Slovenian Society of Cinematographers (ZFS) organised a valuable symposium on restoration and archiving in the beautiful city of Ljubljana April 11th and 12th. 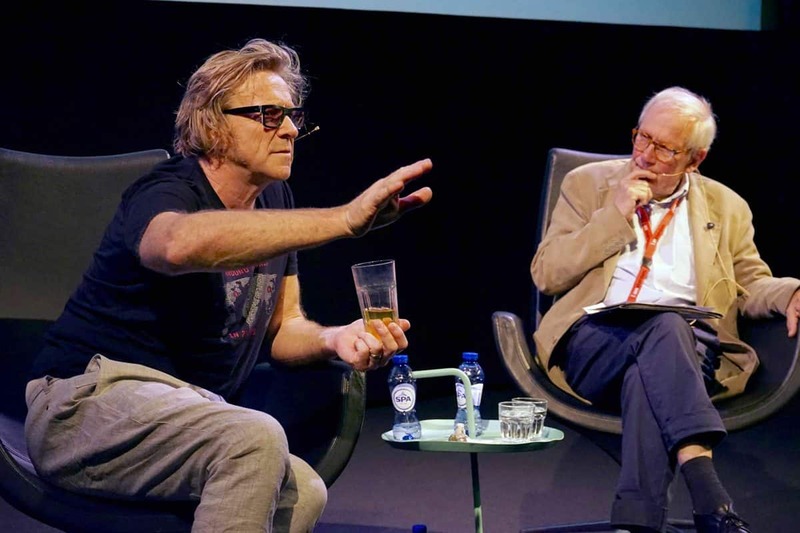 Speakers and audiences gathered from archives and film institutions all over Europe, and important topics were discussed and debated by experts. Among these were Annike Kross from the Eye in Amsterdam, Benjamin Lerena from INA, France, David Walsh of the Imperial War Museum and FIAF, and Retro Kromer, previous head of film preservation in Switzerland. IMAGO president, Paul René Roestad FNF, underlined that cinematographers, archivists and restorers need to collaborate, not only to increase maximum picture quality of restored films, but also to gain acceptance on national and international levels of the need for more financing to proceed with the preservation of our film heritage at an acceptable and necessary speed. Film is an organic material that deteriorates, however well-stored, and from when this work was started, until now, only a small fraction of our film heritage has been satisfactorily restored, digitised and made available to present and future generations. More funds are required, as are more acceptable training facilities for new archivists and restorers who will be needed to do this important work. Today, for every €100 Euros invested in the film industry, less than €3 Euros is used for preservation. There are more than a million hours of films waiting to be preserved and digitised so they can be made available to the public. In many major countries in Europe, during the last 15 years, only two per cent of this has been satisfactorily restored and digitised. Paul René underlined that a wider collaboration between the films’ creators, amongst them cinematographers, and the restorers/archivists, will not only help secure the quality of the restored image to be more in line with the creator´s intentions, but IMAGO also believes such collaboration will benefit us all. 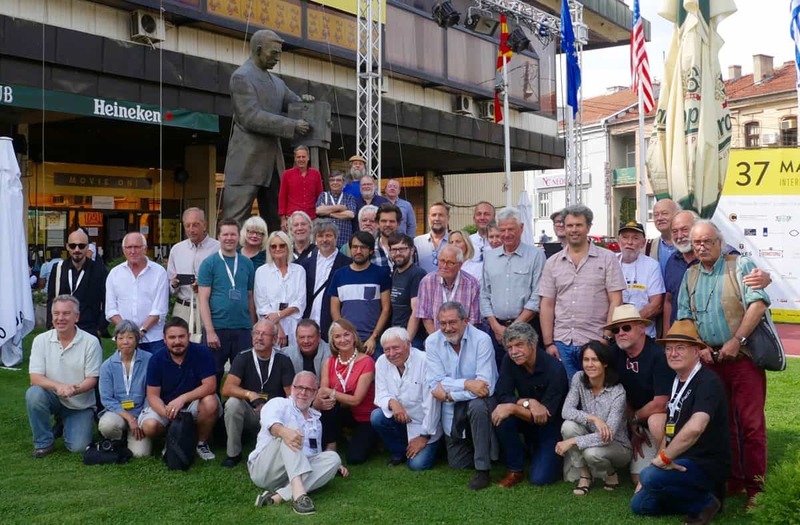 IMAGO’s gratitude goes to the organizers of this important event, Simon Tansek ZFS and Jure Cernec ZFS, president of the Slovenian Society of Cinematographers, and to the Slovenian Cinemateque, the Slovenian Minister of Culture and the Slovenian Film Centre. 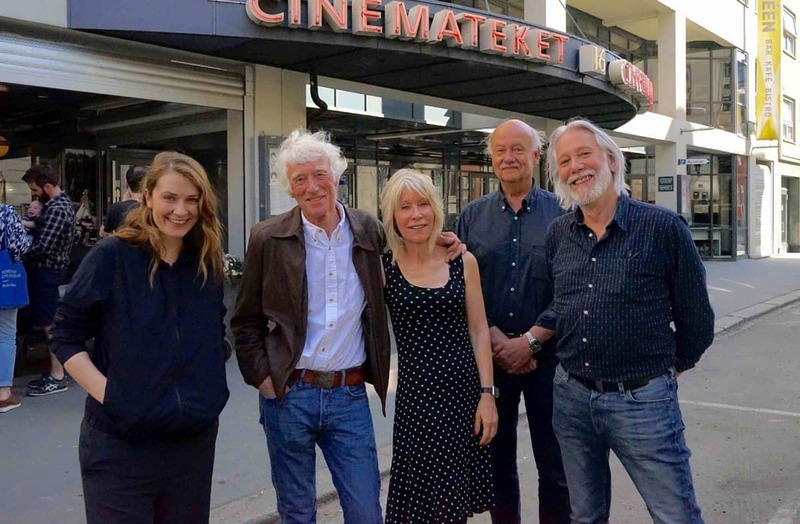 IMAGO collaborated with the Norwegian Society of Cinematographers (FNF) to arrange a masterclass with the highly-respected cinematographer Roger Deakins on May 27th. Roger rarely has time to do masterclasses due to his busy schedule, so this was a highly appreciated experience, with more than 200 Scandinavian cinematographers participating. Roger also enjoys very much talking to students, so film school visits were also on the programme, and the students were fully star-struck. The very successful masterclass was very well moderated by Cecilie Semec FNF and Rolv Haan FNF. FNF’s and IMAGO’s special gratitude goes to Roger´s partner, and invaluable quality controller, James! The IMAGO/FNF Oslo Digital Cinema Conference will take place on September 8th to 10th. The Conference has been arranged bi-annually since 2007, and is regarded as one of the most valuable in its field in Europe. In addition to numerous expert updates on new developments in the field of cinematography, more than 200 cinematographers from around the world will gather to discuss common challenges and exchange knowledge and experience. In addition, the participants will hear about new developments and future plans from the major camera and equipment producers, and the latest developments on the camera equipment front will be demonstrated. There will be masterclasses, meetings between cinematographic societies and technical committees, where the road forward will be discussed. And, of course, not least, evening parties and social gatherings are important to create valuable networks between cinematographers for the future. A detailed programme, with information on how to attend, will be sent out to all IMAGO members early August. IMAGO will be well represented at the great Manaki Brothers Film Festival in Bitola, Macedonia, September 23rd to 30th. This year´s edition is the 38th time the festival has been arranged, and it is the oldest film festival in the world with a special focus on cinematography. Every year, three cinematographers are given the Golden, Silver and Bronze Camera 300 Awards for best cinematography. In addition, several highly-respected cinematographers are invited for special tribute programmes and masterclasses. With close to 100 screenings, masterclasses and events, we really recommend you to visit this festival and we look forward to another great event celebrating cinematography in beautiful Macedonia and the town of Bitola. Until now we have, together with Laws Publishing/British Cinematographer Magazine, published the IMAGO International Cinematographer´s Directory, printed on paper. The distribution of the paper edition has been a challenge not only because of the costs, but also the security, as cinematographers’ contact addresses are included in the Directory. The intention with the Directory is that cinematographers visiting foreign countries can find all they need – companies for camera and equipment purchase and rental, studios, post-production facilities, focus-pullers, DITs, etc, and that directors and producers also can find society member cinematographers to employ on their shoots. Even if IMAGO’s intention has been to distribute the printed edition of the Directory to cinematographer members only, printed books are difficult to control where they end up, and even if it has not happened yet, contact information can in the future be misused. IMAGO therefore plans to launch a new, secure, password-protected, interactive web version of the IMAGO International Directory for Cinematographers, and we are discussing a co-operation with our media partner British Cinematographer Magazine. The new directory shall be accessible by all members anywhere on the internet and the new directory will have a more extensive overview of services cinematographers may need in each member country. Listings shall be free for all members of IMAGO, and there will be space for more details on each cinematographer, links to cinematographer´s websites, photographs, showreels, etc. Member cinematographers can, of course, also choose not to have detailed contact information in this password protected directory, but have contact address to their society or website instead. Member Societies can list information about all national sponsors and useful addresses in the directory for free, and local and national companies that are not sponsor partners of national societies can also easily list their services, for a small fee. Whether filming in Africa, or Canada, Brazil, Norway or India, IMAGO’s member cinematographers need easily-accessible information about who can supply what they need, equipment or personnel, who or what is recommended by the country´s society, and we believe this will be a useful tool for all cinematographers in the future. The internet Directory will be password protected, and each IMAGO member can access the specified information about themselves, add and/or edit the information listed at any time. More information will follow. IMAGO will also be strongly represented during the 2017 Camerimage Festival in Bydgoszcz, Poland, from November 11th to 18th. Camerimage and IMAGO both celebrate their 25th anniversaries in 2017, and both have done invaluable work to promote the art of cinematography during this period. IMAGO is planning several programmes during the Camerimage Festival, focussing on special topics of the art of cinematography, and we plan also to arrange a significant still photography exhibition of cinematographers’ photographs, in cooperation with the American Society Of Cinematographers. We look forward to participating and cooperating with Camerimage in 2017 to celebrate the immensely valuable work Marek, Kazik and their great team have done for cinematography and cinematographers in the last 25 years.